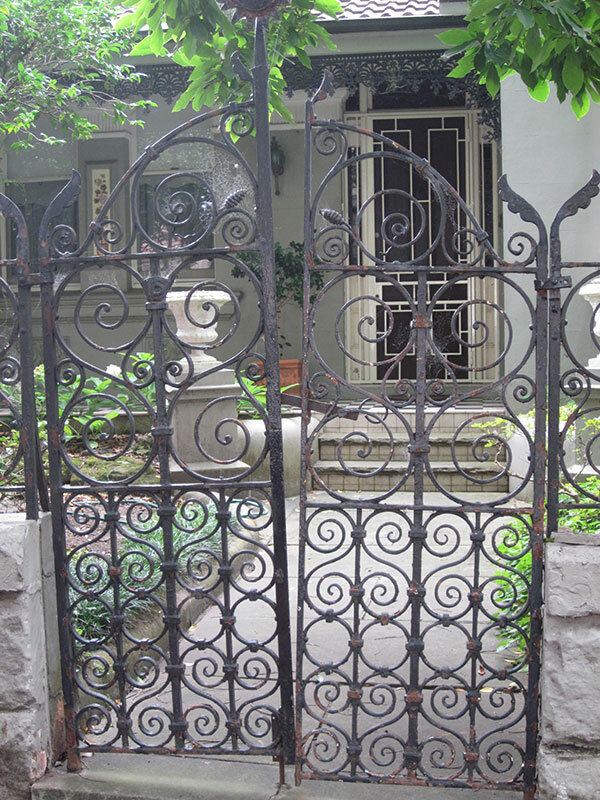 Iron lace appears on many of the Victorian dwellings you will be seeing on this walk, especially the two storey ones. 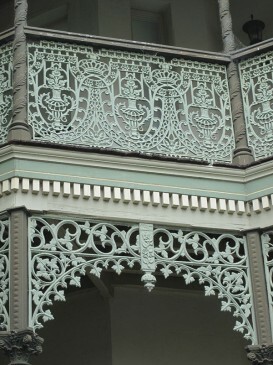 Verandahs and balconies became very widespread in NSW and other Australian colonies to provide shade and shelter from the sun, hotter and brighter than in Europe. They were often added to earlier Georgian Colonial buildings as well. 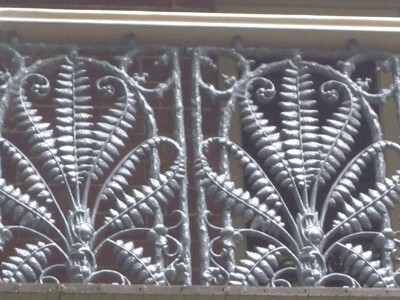 One of the most readily available products of the Industrial Revolution was cast iron, which could be used for pillars, palisade fences and balustrades using decorative moulds. 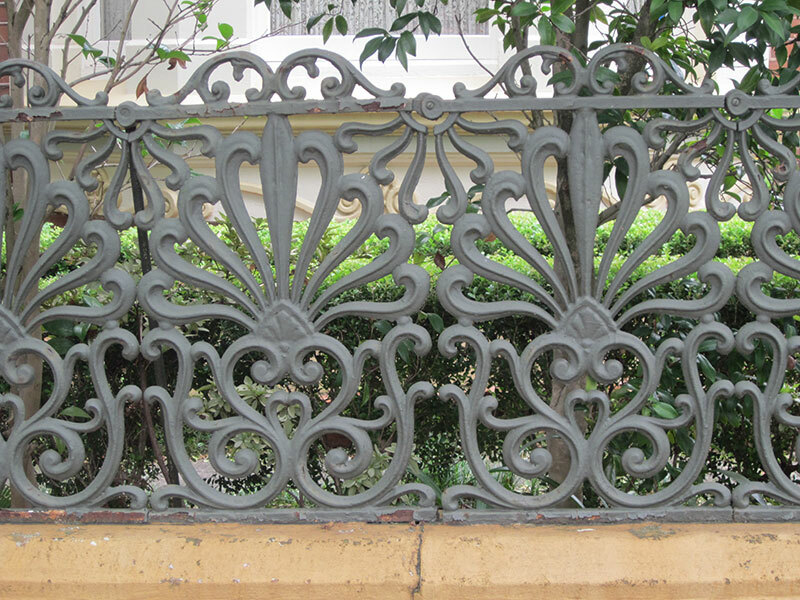 At first it was produced in English foundries and shipped to NSW as ballast. 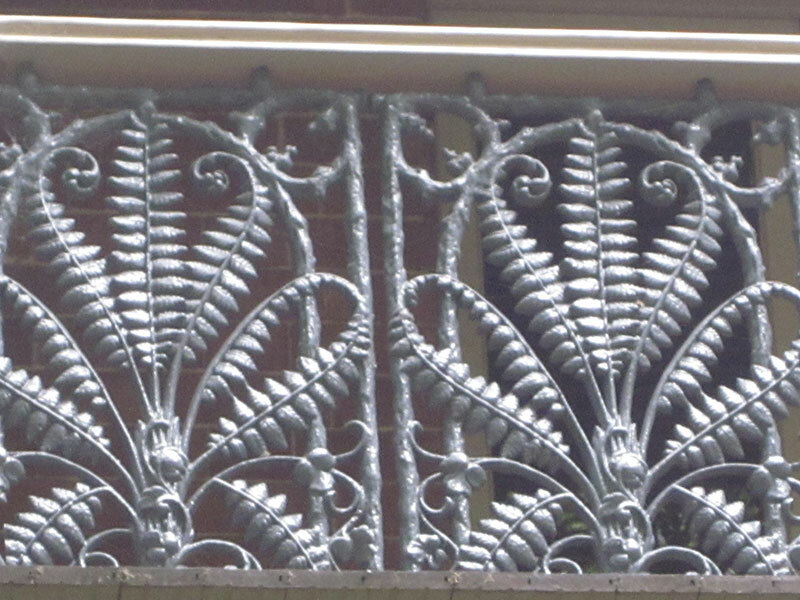 By the 1870s the iron industry was sufficiently advanced for it to be produced locally, and one result was the profusion of native fauna and flora in the designs. It rapidly became one of the most distinctive decorative elements of Australian Victorian terrace housing. 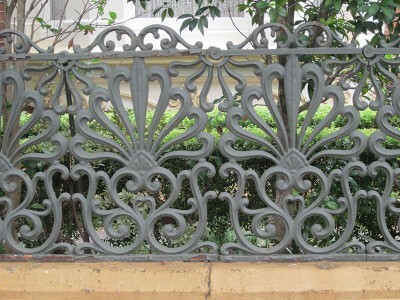 The designs are easy to reproduce, so the lace can be reinstated if for some reason it is damaged or missing. 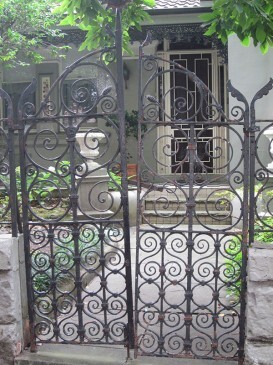 Lace on this walk is often supported by round cast iron columns with a variety of designs.